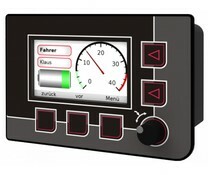 Graf-SYTECO D1000 is a highly flexible and widely applicable combination of HMI and PLC in one housing. Suitable for use in mobile, industrial and marine applications. 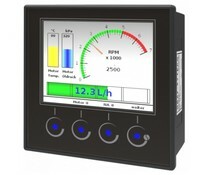 The D1000 is available with or without internal I/O. The EATON Cutler-Hammer PanelMate® Power Pro family of operator interface products provides no-compromise functionality and performance. The PanelMate Power Pro product offerings provide many different configuration options.